Nolan Arenado could be inked long term in Denver pretty soon. The Phillies are clearly going all in this offseason, bucking any chance they have of being a major player next offseason. The biggest potential free agent of the 2019-20 winter — Nolan Arenado — appears to be in the middle of contract extensions with the Rockies. If he strikes a deal, it makes Philadelphia's decision to focus on this free agency and not wait for next the right choice. But there is more good news, potentially, for the Phillies. 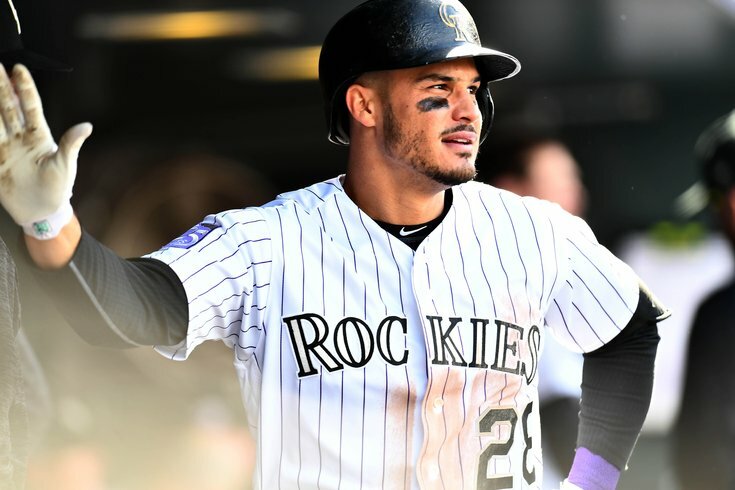 If the Rockies and their All-Star third baseman are able to agree to a long-term extension prior to Bryce Harper or Manny Machado reaching their own deals, a market price will finally be set. With a pretty relevant reference point potentially available, things could move quickly following an Arenado extension. For the entire MLB marketplace, something of consequence happening would be a major lift for a free agency that has moved at a glacial pace — even with pitchers and catchers reporting to some teams in just TWO days. Does a looming extension from Arenado give Machado and Harper's camps a little more motivation to negotiate more quickly — and thereby keeping more control over market value for a superstar offensive player? We haven't seen any movement yet, so apparently no. But the aftermath could have a positive impact if a deal gets done.